The wind whipped corrosively around the Mayor, the stiffness of the breeze cutting through her pelt with less than effective results. You didn't get to become Mayor of a town bordered by the Everfree and the gentle wilderness of the Whitetail without being somewhat immune to the shocks of the winter. But she couldn't say the same for those who were less fortunate and through her own failings and their poor luck found themselves in great need of the city's accumulated goodwill. Ponyville and Equestria at large was boundless in it's regard for the well-being of others and the ponies who lived on the land and sky above would go out of their way to give the shirts off of their backs to help a pony in need. Indeed, Mayor Mare had worked with many charitable organizations in her travels across the land and saw that while many ponies may find themselves in need of charity, almost nopony would find that need unfulfilled. It warmed her heart on this cold morning to realize that she was the steward of such a wonderful populace. But even goodwill can suffer hiccups, and sometimes supply could not meet demand. The long winter's twilight was approaching but the town's supply of food, clothing, and other essentials were running dry. Either she had messed up the book-keeping earlier in the year and they were found wanting from her own personal fault, they had received fewer shipments, or they had a large number of ponies in need than they had thought originally. Whatever the case, Mayor Mare was woken in the early morning with a report that the storage was down to just a few days supply in every category. Individually, she was sure ponies would eventually plead for support from the townsponies and Mayor Mare was certain they would get overwhelmed by it. In time. But in that short span of time, a pony would grow cold, a pony would grow hungry, a pony would cry cries of momentary panic and despair. Mayor Mare would not allow that to pass. So she struck out from her house in the early morning, around three, to a Ponyville silent with the exception of the wind that boomed in her ears. Snow flurries whipped obtusely about and tried to make it hard to see but it was simply too little to unnerve the Mayor. She had a list of places she was going to visit, the time be darned, and nothing was going to stop her. The first was Carousel Boutique and Rarity, one of the most generous ponies the Mayor had the pleasure of knowing. She had dne well by the less needy earlier in the season and she had little doubt that this trip would be equally successful. Failing that there were other places she could go for clothing, but why bother hitting up anypony but the best off the best? It didn't make sense and she could never be accused of not making sense. It was also less than three minutes away. Another bonus! It was three o'clock in Ponyville on a windy, wintery night. Inside the small designer dress shop, Carousel Boutique, things were quiet and still. Rarity, the proprietor, seamstress and sole regular employee had been fast asleep for about an hour now, earning some much deserved rest after working late to meet a strenuous deadline for a big client. Her work completed, she had been quite relieved to slip slowly out of the cold and into the warmth of her covers. She had fallen asleep in their cozy embrace within seconds, and was soon greeted by a pleasant dream of flying gracefully through the clouds. But there was always the chance at this hour that a real emergency had occurred. She was not so callous a pony as to ignore such things. She gave a heavy yawn and pulled herself up out of the bed. She groaned as she found a nearby Robe and draped it over herself before proceeding down toward her front door. When there, she gave a small sigh and then opened the door slowly. Standing there she found nopony else but the Mayor of Ponyville herself. She was surprised, but suddenly glad she had found the power to get up on her hooves. Rarity hadn't done her makeup and that was a crime against good taste considering the subject, but Mayor Mare was willing to let it slide. Just this once, of course, especially since she was so quick on the draw and accurate with her beliefs. It was going to make her job that much easier. [colour=#ff3399]"Yes, there is, Miss Rarity,"[/colour] Mayor said a bit too loudly to compensate for the awful wind before stepping in. Immediately it was like stepping into a sauna, especially as the closely watched temperature of the boutique had taken into account the weather outside. It was unspeakably, even if wonderfully, warm. [colour=#ff3399]"I do hate to intrude at such an hour, but I had little choice. We are facing a crisis of some gravity, though considering the sorts of problems you and your friends deal with I suppose it doesn't compare," [/colour]She started before shaking her head to clear the early frost from her numb ears, [colour=#ff3399]"and I came here first. I have every confidence that you are the mare for the job,"[/colour] She trotted over and sat down, taking a deep breath before taking a look around. She had been here often enough over the years to spot the tell-tale signs of work, and the still singed, burning air spoke of sewing machines driven to death not long ago. Rarity had been burning the midnight oil long ago- and now Mayor Mare was here to interrupt her deserved slumber. It was awful, but the greater good demanded it. [colour=#ff3399]"It looks like you were working late...I am sorry about this, Rarity. You know I wouldn't come unless it was important,"[/colour] She offered sympathetically, not even asking for a warm cup of tea. Nope. Not at all. Rarity gave a weak smile as Mayor Mare stepped inside. She closed the door behind them and listened. It sounded serious. She had been half asleep as she trudged toward the door, but the urgency in the other mare's voice had her soon entirely lucid. She didn't know what to expect, but it seemed she was needed and desperately. Even if it pushed her past the limits of her poor little equine body, she was the sort to endure any stress for others in need. As she faced the mayor, she was all ears. Rarity bit her lip a little. That's right. It had been a rush order for twenty pieces ordered by a department store in Stalliongrad. Rarity had put her all into them. They needed to stand out of the many racks even amongst the many other dresses from many other designers, and without her to sell them herself. Getting them just right had been trickier than she had imagined. They were to be picked up in the afternoon. This really had been the last night she had to work on them, but she had powered through it and gotten each done and perfectly she might add. She was sapped though. If more work was needed from her, it would need to be pulled up from somewhere deep and buried. [colour=#663399]"Don't mind it, Miss Mayor. It wasn't so bad, just a little light work before bed..."[/colour] she lied, giving an awkward glance aside. The twenty dresses hanging on the work rack would make the lie rather obvious to a discerning pony. She nodded and restored the forced smile to her face. [colour=#663399]"But where are my manners, darling? Would you like me to start some tea or coffee before we begin? "[/colour] she said trying to play as her natural self, shaking her mane back. [colour=#ff33cc]"Tea would be wonderful,"[/colour] She replied swiftly with a smile, her mind already on the move in that direction. Thank Celestia she had the common courtesy to ask or else Mayor Mare would have had the desperation to beg, which when coupled with waking Rarity this early in the morning with a difficult request and after a long night's work would have made Mayor a rather unkind mare. She wondered if she had Oolong tea? It really was her favorite, but she'd accept Green or Black or White or anything warm that could get the blood flowing again. It was too early for such adventures in personal struggle she figured. As long as she had Oolong or Green or Black or White- she sighed. Anything would be fine to get her sluggish brain in motion. She didn't even mention that catching Rarity in a lie this time was easy, almost too easy, suspiciously easy like it was a set-up. The dresses were right there in front of her! Rarity's mind must have been nearly as sluggish as Mayor Mare's, but without the benefit of a mission to spur her on. Well, that wouldn't last more than a few seconds, even if Rarity's lying for the Mayor's emotional benefit was a worrying development. She needed the fashionista at the top of her game or as close to it as she could manage given the circumstances. [colour=#ff33cc]"I do need to cut to the chase. The town's storage for the needy has run dangerously low, with a near record demand over the past week leaving us with an emergency. In the next few days, the storage will run dry of food, clothing, and other essentials, and the shelter a few have been staying at suffered a snow-in. I don't expect that you can help us solve all of these problems, but considering your sterling reputation and previously generous donations to the storage, I was thinking perhaps..." [/colour]She ended, allowing Rarity to finish off the line of thought. Rarity nodded at the word. She was happy to oblige. She needed it. She needed something to wake her up. Coffee probably would have worked better, but she wasn't going to brew both and serving the guest was always the order of the day for her. Trudging into her kitchen she found the tea leaves in her cabinet. She had a fair variety of choices, but her magic almost immediately grabbed at the most potent black tea she had without a second thought. Rarity needed something to give her energy. Tea selected, Rarity quickly started her stove and retrieved her tea kettle and a nice teapot. After boiling the water in the kettle, heating the pot and putting the leaves in it, pouring in the water, letting it steep for several minutes, and straining it, she had a fine pot of black tea.She poured two cups and brought it out on a tray with the teapot and milk and sugar to add as they pleased . She placed this before the mayor and took a seat herself. She opted to take her own tea mostly straight with just a touch of sugar. [colour=#663399]"I do hope black tea was fine with you,"[/colour] she said, sipping the tea, she listened carefully as the Mayor started to explain herself. Rarity nodded along as the Mayor told her what she needed to know. Rarity was a mare who believed in helping others and in helping her town. Carousel Boutique and her customers were her passion and her livelihood, but volunteering a little time every so often to help insure that the town's storage for the disadvantaged was stocked with warm clothing was something she was very eager to do. She was proud to contribute and help in any way she could. If there were ponies out there she could help somehow, she would do so willingly. [colour=#663399]"Just tell me what exactly you need from me and the amounts and I will make it happen! You have my word,"[/colour] she added, not hesitating for an instant despite her weary frame. Black tea would have to suffice, even if it lacked the certain quality of texture and taste that the superior teas of the world offered. Still, she did pick one with the right strength, enough to jolt the sleepiest Mayor awake. She took a few sips and enjoyed the taste as it made its home on her taste buds, sending sharp pangs of energy coursing through the weakened form of the mayor, giving her the sense she needed to formulate a plan post-Rarity. Who would be next? Pinkie Pie was a good choice. Nice and kind, wanting to help in everything with her boundless energy, treats and laughter a surefire way to put a smile on anypony's face no natter the circumstances. For now though, she needed to focus her reserves(as wanting as they were) on Rarity and see this through to the end, not that she expected much in teh way of resistance from the Element of Generosity. And she didn't need to bother, for Rarity lived up to the title. She hadn't taken the hint to finish the question herself, but it was early. Mayor Mare smiled broadly and finished her tea. [colour=#ff00cc]"Thank you so much, Rarity. You are a friend of all Ponyville, to be sure," [/colour]She stood up and spoke softly, taking the tea cup in the kitchen. The kind guest didn't wait for the host to collect dishes when the social visit was so unusual, after all. [colour=#ff00cc]"I was thinking that since you are so uniquely talented, perhaps you could make, say, twenty cold weather outfits? Last check showed we are down eight winter ensembles for mares, seven for stallions, and five for foals- a bit small for the age group if you ask me, but it is what it is. I'll have some copies of the report made for you when my office opens and sent here, but if you have any questions, I'd be glad to field them,"[/colour] She finished, entering the room once more and smiling despite her mind still fogging as the moon overhead clashed with the fact she was conscious at all at this hour. Rarity listened to the request, nodding to the mayor's words closely. When she was done, Rarity took a long sip of her tea and then gave a nod. She could do this. In all honesty it didn't sound so bad. Twenty complete outfits was certainly a lot... but Rarity was a surprisingly resilient mare not to mention a diligent and willful one. She could do this. [colour=#663399]"Understood, Miss Mayor. It would be my upmost delight to assist you and those in need. You will soon have your hooves on twenty fabulous new winter outfits! "[/colour] Rarity said with some enthusiasm, her energy having been picked up some by the strong tea. [colour=#663399]"When exactly will you need these by? "[/colour] she asked the obvious follow up, looking at the mayor hesitantly. She already knew the likely answer. After all, why visit at this hour if there was time to spare? This was likely going to need to be an express project. Which was fine... Rarity had worked on little to no sleep before to make a deadline.. she just needed to know exactly how much time she had to work with. Rarity's tea certainly seemed to do the job well enouugh for the fashionista, perking her up measurably and giving her the sort of pep that the truly creative surely owned in special amounts when compared with the dreary amounts held by the less impressive, Mayor mare among them. She was still trying to build a bridge out of the molasses that clouded her mind but Rarity's upbeat attitude about the request was both expected and very much welcome. The Mayor smiled as Rarity replied, mentally checking off one of the most important duties off of the list. Rarity was amazing- no doubt the outfits she would make would be loved by the needy who needed them. She had come to the best place. "I have no doubt that you of all mares will do this wonderfully, Miss Rarity. Your generosity and care is truly something special," Mayor Mare came close, placing a friendly hoof on the other mare's shoulder and giving a gentle pat as Rarity asked about the time table. Again, if she wasn't so good at hiding negative thoughts, the conversation would be awkward. But she was, so it wasn't. [colour=#cc00cc]"Well, we will need as fast as possible. We'll be out of the clothes by tomorrow night- dawn tomorrow if I can't convince the weather pegasi to hold off in a scheduled storm. I do apologize for such short notice, but...it has been a bit dramatic development, if you ask me,"[/colour] the Mayor finished, sighing heavily as she readied herself to head out into the whipping cold once more. [colour=#cc00cc]"Thank you. For everything. For the help with the needy, and also for the tea. I'll need that energy if I'm going to make Sweet Apple Acres in the hour,"[/colour] She laughed mirthlessly, not happy that her elder bones were going to freeze. Rarity just smiled. Yes. it was exactly as she feared. The deadline would be difficult to meet. Twenty full cold weather outfits; less than a day to make them all. Rarity wouldn't be allowed to sleep. No. Sleeping would eat up too much of her limited time and she still had to prepare the dresses to be shipped off too. If she had only until the next night, she had to get started on this immediately. It would be difficult and strenuous, but this was what Rarity was all about. She believed in helping those who needed it, and she believed in spreading her fabulous outfits to as many as possible. An unfortunate idea hit her then and she gasped. [colour=#663399]"Don't tell me the storage is out of food too! "[/colour] she exclaimed. Poor Rarity was a tirelessly hard worker in matters of charity and fashion, and the two combined were sure to do a fierce number on the mare. Not that she would let on, however: the biggest act of charity she would give to friends and fellow townsponies was the illusion of control over the sheer mugginess that came with obtuse sleep deprivation and then the acute lack of acuity that came with it in later stages. Mayor Mare felt bad placing such a burden on her with such a deadline, but while one pony may suffer, twenty more would benefit. The least enviable position of hers was deciding what was for the greater good of her constituents Rarity was willing to lay it on the line and the Mayor was perfectly at peace with taking the fruits of her labor. Of course she would offer to pay Rarity at the end, but the Mayor knew she could bet on it being turned down. Charity was ingrained into the fashionista's being. [colour=#cc00cc]"I have no doubt that you will do marvelously Rarity. You are one of Ponyville's leading citizens for a reason,"[/colour] She finished with a smile before wrapping herself back up in her travel garb for the trip to Sweet Apple Acres. That would be a long trek and one she would normally decide against under even normal, calm conditions. Now with the whole of the world coming down and the wind not helping matters any. Oh well; the needy needed food most of all and Applejack would be kind enough to offer, but she expected it to be a slightly tougher go of it than Rarity had been. [colour=#cc00cc]"Yes, just as dire as the clothing situation is the food stockpile. And we cannot have that happen, can we? "[/colour] She said stoicly before opening the door, inviting a cold burst of wind in. Rarity smiled at the elected officials praise. It felt good to know that the Mayor had such faith in her. It made it all the more important that she didn't let anypony down. [colour=#663399]"It does me well to hear you say that, Miss Mayor. You have my word that I will not let you down!" [/colour]Rarity said firmly, with clean emphasis. She was ready for this. It was her moment to shine. 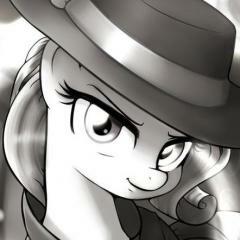 Rarity's expression went solemn and she gave a small nod. [colour=#663399]"In that case, I shouldn't keep you any longer. Go to Applejack, Miss Mayor. I am positive she will be just as eager to lend a hoof to those in need,"[/colour] she said in a stark but kind voice. [colour=#663399]"Farewell, Miss Mayor! Good luck! "[/colour] Rarity called out as the older mare moved to take her leave. When she was gone Rarity didn't hesitate. Wordlessly she began to gather all she would need: warm fabrics, sewing implements, everything.... She would get this done. She needed to. Ponyville was depending on her. That thought firmly in mind, Rarity proceeded to get to work on a foal's winter coat. Her body was heavy with exhaustion, but she was blind to it. Her focus was keen and her drive was unstoppable. By sheer will, the way the fabric moved under the care of her trained hooves remained as elegant as it ever was. She would complete this order and she would complete it fabulously. She knew that she would settle for absolutely nothing less. The weather hadn't become any more agreeable in the dreadfully short time she was inside of the Boutique, a brief respite against the backdrop of a fierce early morning storm proving little comfort the moment she stepped out. She walked slowly at first and then quicker and quicker, her pace chasing the illusion of safety if she could only got there fast enough. But she didn't gallop- otherwise, she'd need to head to the hospital before she finished her rounds, and nopony would get the job done then. And this morning, it was about getting the job done for the good of Ponyville and the poor who counted on the Mayor to focus the overwhelming goodwill and love of her fillies and gentlecolts towards deeds both great and small. It was no small thing to feed, house, and clothe the poor and unfortunate who otherwise faced the Equestrian dawn with trepidation and doubt and yet it was the small things in every way that defined who they were and by whose success the town was defined by. And nopony in town had ever exemplified this better than the Apple family, a Ponyville staple that had sustained her from before the town's screaming birth onto the map. They were in a sense the foundation of all Ponyville principle. Family, charity, kindness and love for family, friend, and stranger all, their farm a beacon of hope for not only the town's immediate financial future but it's long term prospects, meals provided daily and for the long term. They were leading citizens but also so much more: Symbols, uniquely Ponyvillian symbols at that. They didn't want to go to Canterlot or want to travel the world with a flight team, nor did they move in after the hard work of others created the town. Their aspirations were met by the land that provdided hearth and home for family and town alike. They had won the great struggle and would help you do the same, and that was something rare and beautiful in the world that the Mayor was proud to say was Ponyville's. None of those good feelings made the trek any easier, the Mayor holding on tightly to her covers as she briskly moved down the snow-covered country road before turning down the walkway through the orchards and to the barn. It was a long walk on a good day, but today was not a good day and even at a nice job it was a good twenty-five minutes from the Boutique to Sweet Apple Acres and another five stomping her way to the front door. With the biting winds and blowing snow mocking movement and the hard packed snow only reminding her that only a small percentage of a hoof was bone, she was happy to see the door approach. She even galloped the last few yards towards the front steps, slowing her gait and regaining her composure as she approached the door. Applejack would likely not put up too much of a fight, but she didn't suspect that it would as easy as it had been with Rarity. Taking a few deep breaths despite the wind, Mayor Mare knocked three times. The Mayor didn't stand silent on the doorstep for long, but it was much longer than she would have hoped for. Her four legs all had sharp stinging sensations prickling every nerve up and down their lengths as her breath chill and froze in front of her for a moment and no more. When Applejack appeared out of the cellar nearby and bellowed, the growing storm almost stole her voice and offer before the Mayor could make it out. She barely could but wouldn't have needed the help anyway, an open door and another pony all she needed as an offer of shelter. She immediately responded to Applejack, trotting off of the porch in hoof-high snow as sick as her body would allow, which wasn't very swift at all. She nearly stumbled into the cellar past Applejack, body quaking with shivers like a good old fashioned Ponyville stampede. And just like those incidents, Applejack would be there to save those in peril. [colour=#cc00cc]"W-w-w-w-w-" [/colour]her teeth were chattering a staccato rhythm that made it entirely too difficult to speak. She held both hooves up to her mouth and pressed, allowing her body to warm for a few seconds. Her body still shook slightly, but at least her mouth could move against the frost which tied it down. Now she had to focus on Applejack, and her contribution to the town. She was a filly consumed by a devotion to her family and to the town, which would normally mean she was a shoe-in for almost excessive support of the cause. But the winter was fierce. The winter was long. The Apple family themselves had their own food reserves to look after. And this further donation would have to come from that stockpile. Now, Mayor Mare knew that if any family could find a way to make it work, it would be the Apples. But that didn't mean it'd be easy, and while the Mayor's focus today was on the needy, she wasn't going to ask Applejack to let her family starve. Probably. [colour=#000000]The mayor didn't really get through half of her chatters before Applejack started walking her through the cellar and up the stairs to the inside of the barn. Without hesitation, she lifted her off her hind legs and carried her into Granny's rocking chair right next to the barn's fireplace, which was snapping and crackling with the warmth of a tamed flame. [/colour][colour=#ff0000] "Now hang on, you just take a minute before you get warmed." [/colour][colour=#000000] Applejack went to the kitchen briefly, before returning with a teacup and saucer of warmed apple cider. She hoofed the cider carefully towards Mayor for her to grab it. And when she did, Applejack tossed a thick blanket over her while she rocked away her shivers from the cold and windy snowstorm that apparently plagued the mayor on her walking trek to the farm. The Mayor was given a first hoof experience of the love and attention Applejack afforded her kin in such a situation. After all, what were her fellow townsponies if not kin as well? One of the reasons she had become one of the leading mares of Ponyville despite her unassuming attitude was the fact she was willing to help anypony who came to her regardless of the situation. That wasn't a rare attribute in Ponyville by any stretch of the imagination, but few were as self-sacrificial in the act as Applejack and by large her family. This wasn't anything as important as some other examples, but Applejack hadn't wasted a moment in helping the Mayor. A warm blanket held her snugly, the sort of fit you only realized afterwards was better felt when you were ice cold, and the warm cider felt like the nectar of the Princesses themselves in her condition. She was helping the Mayor tremendously, but what she was going to ask of her would double this aid for weeks for a multitude more. [colour=#cc00cc]"Thank you, Applejack," [/colour]She started honestly, taking a deep breath after several minutes under the weak light of the cellar had been removed for the greater comfort of the toasty fireplace. She hadn't been down to the Apple family cellar since the previous season, though the few bottles more of cider she had liberated from here were still town secrets. [colour=#cc00cc]"I assure you that I wouldn't come here unless it was of the greatest urgency for the ponies of this town. And to be frank, I don't think there is anypony in the whole town who could possibly help me other than you,"[/colour] She let that statement hang, a pregnant pause between them. Even the Apple family in all of it's wonderful charity and love had limits that were physical, monetary, and mental as well. Donating to the town would hit all three, oddly enough. The town had asked a lot of the family's coffers, though if the Mayor was going to brutally honest- and she wasn't because the one who felt the actual need to be honest was in front of her, not inside of her- these were all unsolicited offers. Yes, she preferred active donations to dipping into the town;s budget, but that budget could then go to a thousand other things. Their donation in effect allowed the town to focus on the needs of the many. But they had been overgenerous at times and their financial acumen wasn't up to par with the beliefs of the heart. Facts and feelings lived in an uncomfortable union and when the balance finally tipped, you got what Applejack was doing now, explaining and perhaps being more upset than she had any reason to be over her fictional cause. The family was tapped; nothing here for the Mayor to scavenge. Bit wise, anyway. [colour=#cc00cc]"Applejack, if this was about bits I would simply have visited you at your stand or invited you to town hall to butter you up before I asked you,"[/colour] She giggled, stifling with a hoof, [colour=#cc00cc]"I don't think I've seen a pony eat as much pumpkin bread as you, and I've been to eating contests for the food! "[/colour] She peckishly laughed for a few more seconds, sighing heavily as the jovial attitude died. [colour=#cc00cc]"No, Applejack, I'm not here for money. I wish it were that easy or simple, but this is much worse, and what I'm asking of you is far more difficult. I'm here for a much more important and dire cause that cannot be put off, hence," [/colour]she waved a hoof outside, [colour=#cc00cc]"why I'm dealing with the elements and at such an hour. I already visited Rarity about an hour ago, and I'll see others after you. I'll need more than a single aide for this job- I'll need a community," [/colour]she took a deep sip of the cider and allowed a few seconds to let her words drift by, heavy with power and mystery. After their power reached it's zenith, the Mayor continued to speak as she stared into the fire. [colour=#cc00cc]"Whether it is because somepony messed up the book-keeping, thievery, a sudden increase in demand, or outright incompetence, the town's stockpile for the needy and the poor is about to run dry. By tomorrow night they will have no food, no shelter, no clothing, nothing. I've looked into maybe abandoning town hall and allowing them in there, but that won't matter much if they can't be fed,"[/colour] She sighed again, a few seconds practiced pause before she turned back to Applejack with a measured, soft glance. [colour=#000000]The Mayor was talking about charity. Applejack was thinking about karate. The immediate refusal of bits from her end, while jumping the gun, left her with the thoughts of exactly the plans she had for them. Apple Bloom's karate lessons would soon begin after winter was wrapped, and in addition, anything left saved went towards payment for the first resources needed for the spring. Though winter wrap up ever year was a mandatory non-commission job the whole town had to complete without pay, there were still expenses the farm had at the start for spring in order to jump start growth of the plants and animals, the upkeep of the farm's buildings and materials, and the cost of doing business with the ponies that helped the farm establish their ground every year. Lots of ponies didn't know about a lot of these things. However, one of the only non-Apple ponies who did was sharing the barn's living room with Applejack right now. The need was not for money. As the Mayor explained the situation, Applejack stood up from her seat, and walked slowly to the nearest window as she listened. She contemplated as she began to know, food was needed, and the Ponyville shelter had apparently collapsed it's resources. Applejack wanted to burst out right there, but she let the gray-maned mare finish. Recovering the details, Applejack looked out the window away from the Mayor. She watched the blowing snow drift over obstacles in the barn's yard. Applejack's breathing, as it got heavier, clouded the image on the window. The chill from the air around the glass nipped at her nose. The thought of ponies suffering without the essentials in this kind of weather wasn't fun to imagine, as the warmth from her own body eclipsed the thin insulation between comfort and miserable. And when the Mayor was done attempting to recruit Applejack to the cause, the silence was left hiding in the howls of the snow storm that grazed the edges of the building and in the echoes of the wind that screamed through the chimney. Applejack puffed an exhale and walked over to the desk in the living room. The desk that was littered with paperwork, charts, statistics, projections, and expenses, all from last year and years to come. Applejack read a few papers and scribbled out some information. A few silent motions with her adding machine, the ticking and tocking of receipt paper throwing out itself as the orange mare's haste increased. And then she paused, closed her eyes and sighed. The numbers just weren't there. The things Applejack would give for a black number, she kept coming back in the red. There were not enough preserves. Not enough apples. Not enough food. And she sat their lifeless for twenty seconds as the threat of struggle and famine crept at her fetlocks. She slammed her forelegs on the desk and shoved all the paper off the desk in anger. She grunted loudly as she cleaned her desk of anything and everything, sacrificing some of the paper to the floor, disorganized and occasionally torn. She turned to the Mayor and stomped towards her in frustration. She threw a hoof straight up. [/colour][colour=#ff0000]"How could this happen!!? How did this happen!!? How in buckin' tarnation did you let this happen!!?" [/colour][colour=#000000] Applejack wasn't mad at the Mayor. After all, she did vote for her last year. But with the questions and angered resentment Applejack had at the moment, she could only direct them at the only other pony in the room. Five in the morning? Didn't matter. Big Mac and Apple Bloom had a right to hear this situation anyway, as this would soon affect them, too. Applejack huffed a few breathes, and then calmed down, with immediate tears running down one side of her face. This was a dire situation indeed. And she knew, that no matter what the paperwork read back, no matter how empty the shelves in her supply was, she would say yes. She had to say yes, if not for the need to help others less fortunate, but because Applejack could out-stubborn a mule with a bad attitude. As the Mayor laid down the realities of their unkind situation, Applejack got up and trotted about to the window. It was something the Mayor was well aware of, the contemplation that came with information that demanded a decision that was lose-lose. You thought of the world around you, your impact on it, it's impact on you, and how the road ahead was always bumpier and less forgiving than the path you had just conquered. And when you made a decision after great reflection and inner debate, it was going to be second guessed an mocked by those in your care and those who saw fault in all that you did. Such was the lot of the decision maker, the leader, the provider and the protector. And as much as Mayor Mare could claim she played that role for the town of Ponyville, she guessed that Applejack filled that role just as easily and even more so for her family. Silence followed, the eerie sounds of winter's driving assault on the land cascading down through whatever open area they could find. The mare stood as a trembling statue for a few moments before, breaking her devastating gaze out into the storm only to walk with purpose and verve to the living room. Sounds of drawers opening and closing and the tension that grew thicker and more acute with every passing moment was all that Applejack had left behind for the Mayor to contend with. She knew Applejack about as well as anypony else could, with the added exception that perhaps only she knew of the mare's talents for logistics and the unnatural supply and demand of the Ponyville marketplace. On more than one occasion the Mayor had fallen back on her for help when the books needed balancing when it came to the town's stock. She was an invaluable tool, asset, friend and partner for the town and the ponies who lived in it. As the silence continued without the normal cheery overtones that she normally provided, the tension took it's chance and increased. Silence, tension increased. A growing sense of dread devoured the Mayor's innards and the inner defenses that kept doubt and worry from taking root and driving her to desperation started to falter. The numbers weren't adding up. The stock was too low. They would be in the red, but for how much? How long would they be able to hold out without the supplies? That was likely the question Applejack was asking, and the silence told the Mayor the answer was bad. But for all that dread, the fact it was taking so long told her the offer was being considered, and as awful as it was to think, one family having food troubles for a short, short amount of time was better than twenty ponies with no food at all. One problem could be solved easily while the other could not. The drawer slammed, the tension reaching a violin pitch as Applejack stormed back in, papers behind her trailing in her draft like moths to flame. She was angry, furious, and she would agree to the deal. For all of her depth she was a simple mare to understand and work with, and her response here was as typical and predictable as she could have hoped for. The mayor snuck in a big gulp of the cider before Applejack entered the room and unleashed a short but furious barrage of suggestive commentary. She had weathered that storm many times before sadly and would weather it again; she was as well versed in handling it as Applejack was with storms of a more literal nature. She was calm as Applejack's emotions rose and fell, leaving her agreeing to the Mayor's proposal, but suitably torn up about the decision. The Mayor gave her a few more seconds to come to terms with herself before she carefully placed her now empty cup on the table and walked slowly up to Applejack, placing a hoof on her shoulder. [colour=#cc00cc]"I know this is hard for you, but you're doing the right thing, as usual. That is why you are Ponyville's premiere citizen, and the one pony we all know we can rely on," [/colour]She withdrew the hoof, daring a glance outside. The storm was still fierce, but no worse than earlier. It would grow weaker soon. Hopefully. [colour=#cc00cc]"After you've delivered the food to the shelter, stop by my office with information relating to how much this leaves the Apple Family with. I'll get Twilight or somepony else to send an urgent request out, and hopefully we can get your supplies restored to last you the winter before they run out. Can you do that? I'll be at my office from eight o'clock until noon. Then I'm going to try and see Rainbow Dash or somepony else from the flight team and discuss the weather patterns for the next week as I get somepony to fix the shelter,"[/colour] She sighed, folding the blanket she had been given. [colour=#000000]Applejack nodded in agreement to the mayor, and as her guest arose from her seat, Applejack got up from her's. She walked the mare towards the front door and prepared to open the door for the Mayor, sparing her guest a few seconds to get ready to face the wind of the storm once again. The Mayor's business was serious. Applejack knew this because under no circumstance would a pony be short about the needs of a town, wait for a commitment from their constituent, and then walk out into a sub-zero winter storm at five in the morning. This was no prank. The Mayor nodded once more to Applejack and her gracious hosting method before she left, trotting with as much energy as she could down the steps. The brief surge of energy was granted by the as always fabulous apple family cider, but it wouldn't last. The storm was still brutal and the Mayor was still old and tired despite her cheery efforts otherwise which were stolen by the gravity of the problem she was trying to solve. She beat a quick retreat from Sweet Apple Acres, doing the only thing she could do in order to not dwell on the trouble that the Apple Family would find themselves in: Focus on who was next and check off the trip here as successful, which on all accounts it was. Except for the accounts that she had to forget, because sometimes decisions were lose-lose and dwelling on the negative outcomes were the quickest ways to discredit all the effort put into them involved letting the negative outcomes eat away at your resolve. She wouldn't allow that to happen- she couldn't allow that to happen. So she trotted with decreasing speed back to Ponyville, the wind chipping her away piece by piece as she contemplated who to see next. Rainbow Dash wouldn't be up yet, and getting up to her house normally was a pain in the flank that she didn't want to deal with before dawn. Cross that off the list. Who could fix the shelter? There were a few options, but they were all long treks from town, farmers for the most part and the businessponies who could do so weren't going to be happy if they were disturbed so early. She would have to see them later. The tasks that could be completed with the ponies she could actually speak with were not as immediately serious but the Mayor would argue that perhaps it would be these lighter, airer tasks which would show the less fortunate that they were loved more than they could ever know. After all, they had to feed them, but they didn't have to make them feel good about themselves or give them something to be truly excited about, did they? They didn't...except the Mayor believed that more than giving ponies the essentials to live by, her job was to give them the sort of happiness and self-confidence that allowed them to be more than they could have been otherwise. No, these tasks were important. Vital. And they also required a certain pony. The Mayor trusted most of the town's ability to inspire one another, but few things were more likely to warm the cockles of the heart and set the soul afire with hope than laughter and fun, and they had the embodiment of that in town. The Mayor knew her target and cut a path through the snow towards Sugarcube Corner, her limbs forgetting the warmth of fire and cider she had at Sweet Apple Acres as she slowed to a stagger befre she reached the front door. Ironic, the place that could give you a sugar rush in less than a minute and was home of a pony that was mostly a creature of sheer energy was the very same place where after she knocked thrice, the Mayor fell against the door in exhaustion. [colour=#cc00cc]"Pinkie Pie?" [/colour]She breathed out more than spoke, her breath collecting frost in front of her as she took deep, deep breaths. Full of resolve, she opened the door, a warm grin cutting across her face. [colour=#ED458B]"Mayor Mare! Hiya! We're closed right now while we're baking, but I think we can make an exception for you! Come on in! I just pulled some doughnuts out of the frier -- perhaps you'd like one, crispy, hot, and dripping with ooooooooey gooey fudgy fudge? With lots and lots of sprinklies!" [/colour]Squee grin. She opened the door wider, allowing the important pony into the throes of the warm bakery, with the intermingling scents of fresh baked goods making for a heavenly, heady aura. Pinkie dropped to her knees, grabbing onto Mayor Mare's ankles. She started to sob, hot tears running down her rosey pink cheeks. The Mayor burst into Sugarcube Corner with all of the energy she could muster considering she was half frozen. Maybe three-quarters frozen, but no matter she figured they could bake her into semi-coherency if worst came to worse. Sugarcube Corner could work wonders with sugar and bread and a thousand other ingredients and through their hard work and dedication spread smiles from one end of town to the other without any trouble whatsoever. Mayor Mare wondered if they understood entirely their gift and what it meant to Ponyville. The ability to engineer such happiness and be the cause of an outbreak of joy across the town was something unique and powerful, a wonderful gift from the heart that became one of the underlying beating rhythms of the town. And that didn't even include Pinkie Pie, who's infectious personality ad cheerful aura could counter just about any strain of negativity that the rapid pace of town life could slap a pony with. She was special, valued, and the Mayor needed her now more than she had ever needed her in the past. Plus, the possibility of fresh baked goods this early in the morning was too good to pass up. [colour=#cc00cc]"That would be wonderful, Pinkie Pie. You wouldn't believe how-" [/colour]Mayor Mare began, her voice low and somewhat quaking due to the sheer exhaustion that forcibly censured her movements so forcefully. She couldn't finish however as Pinkie Pie latched onto her leg like a particularly large, aggressive, and persistent leech. What in the wide wide world of Equestria was this young mare babbling about? Paying what? Why would she take Sugarcube Corner? Why was she wailing? The sudden physical and auditory assault upon her senses forced the Mayor's eyes shut and ears back and it took a few seconds for her to adjust to the wailing...or failed to, at which point she stuffed Pinkie's screeching mouth with a well-placed hoof. A moment of silence followed as she looked at Pinkie sternly, momentarily disgruntled at this intensely uncomfortable turn of events. [colour=#cc00cc]"Pinkie Pie, I have absolutely no idea what you're wailing about..."[/colour] She removed the hoof and pulled herself free, her features softening afterwards, [colour=#cc00cc]"I'm not here for the bakery or payments or whatever you're so scared about. I have business hours for such tedious affairs anyway,"[/colour] She chuckled and promptly started cleaning her glasses as she allowed herself to fully climb back down. 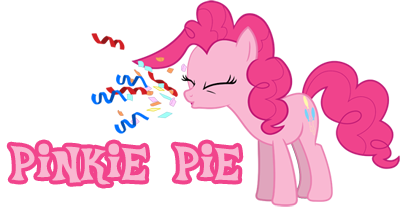 The way Pinkie Pie could dominate a situation- a politician would do anything for that power. She put the glasses back on.